It seems odd to be talking about Thanksgiving already, but the calendar tells me it is only weeks away. The years seem to speed up the older we get, and I’m just thankful to have the good sense to appreciate each day no matter how quickly it passes me by. For some people, the holidays can have a little bit of unnecessary drama – I’ve never had to deal with this first hand thanks to my mother, but I have heard of families where parents of one half of a couple get upset if they don’t come to their house for Thanksgiving and parents of the other half get their toes crooked if they don’t go to their house as well. It’s like folks decide to treat couples like wishbones and pull them in both directions at once. Crazy. My mama, being the sensible sort to works to make life easier for others whenever she can, has our family thanksgiving on the Sunday before the actual holiday. This frees us up to visit family or have a Thanksgiving day together out and about. They, in turn have their holiday early and then head off to the Smoky Mountains for a little vacation. This has always served as a wonderful way to keep Thanksgiving relaxed so no one had to rush around and try to get to two houses in one day. I like to cook something special just for the four of us on the actual holiday though, but an entire turkey is an awful lot of meat for four people, so I make a condensed Thanksgiving meal instead – I call it my little Thanksgiving and this is the turkey I often make. 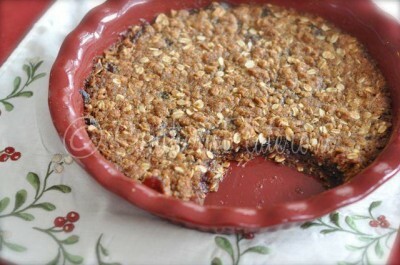 This is really an easy recipe to modify to your own tastes. Use the seasonings I use or use whatever blend you like. Some good ideas are basil, thyme, rosemary, or even oregano. If you don’t like honey mustard, don’t fret over seeing it here. 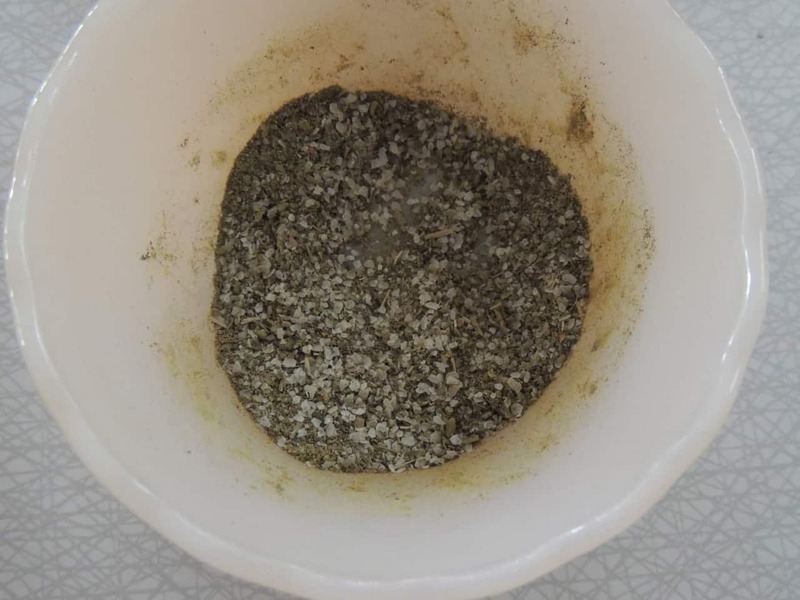 You can’t really taste it, but it does serve as a great coating to help the herbs stay put. Still, if you just can’t bear the thought of honey mustard, substitute a little maple syrup instead. 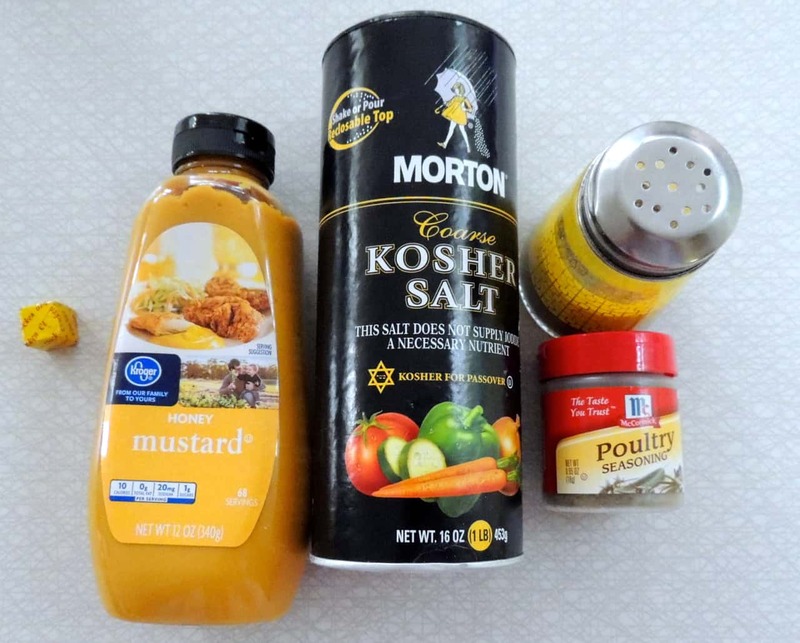 To make this recipe like I do, you’ll need: a Chicken Bouillon cube (or chicken broth), honey mustard, kosher salt, pepper, and some poultry seasoning. You’re also going to need a bone in turkey breast, about 5-7 pounds. Any bigger and it may not fit in your slow cooker. 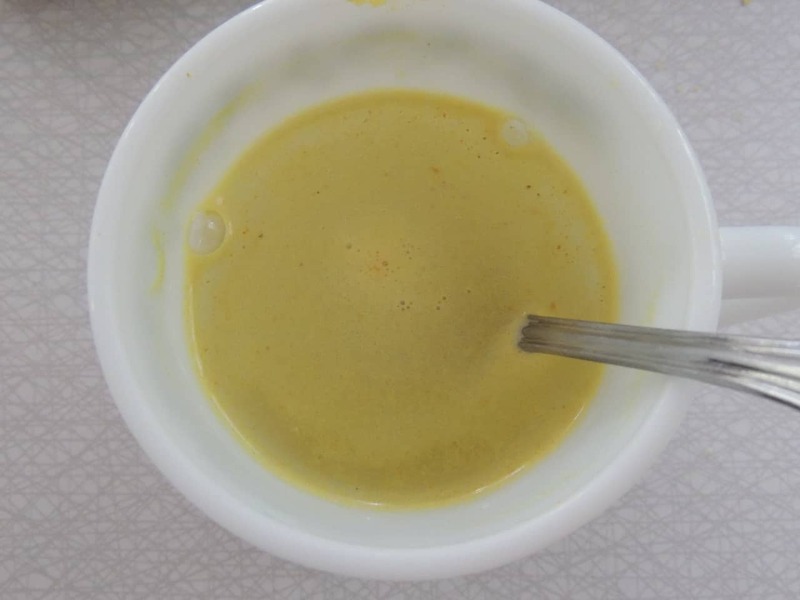 Dissolve chicken bouillon cube in one cup of water. 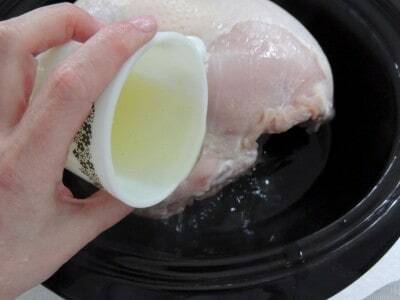 If you are using chicken broth, just measure out a cup. I like to keep bouillon cubes on hand because they are so economical and easy to store. Right now I have a container of 277 cubes that are taking up the amount of space of one can of chicken broth and probably cost me about what four cans of broth would make. Each cube makes one cup when dissolved in water. I buy big things of them at Sam’s Club and use them as a replacement for broth in recipes. I also crush them and sprinkle it into casseroles sometimes as I stir them together for a little flavor boost and if you want an extra rich broth in your stew, just toss in a few bouillon cubes towards the end of cooking and let them dissolve in there. Pour chicken broth into bottom of slow cooker. Spread honey mustard over top of turkey breast. I just used the back of a spoon for this to avoid digging around for a basting brush. Sprinkle seasonings over top of turkey. You’ll notice my turkey breast is laying on it’s side here. You can try to get it to stand up so the entire breast it up but mine usually won’t do that. I like it this way because one side of the turkey breast has all of the yummy seasonings on it and the other still has the wonderful flavor but not the evidence of herbs. In other words – it’s kid friendly 🙂 If you want though, you can raise it up and sprinkle both sides. Totally up to you. It’s moist, tender, and delicious either way ya go. Cover and bake on high for 4 hours or low, 7-8 hours. To get my foolproof instructions for Perfect Baked Sweet Potatoes, click here. Place turkey breast in a 6 quart slow cooker. Pour broth into bottom of slow cooker. 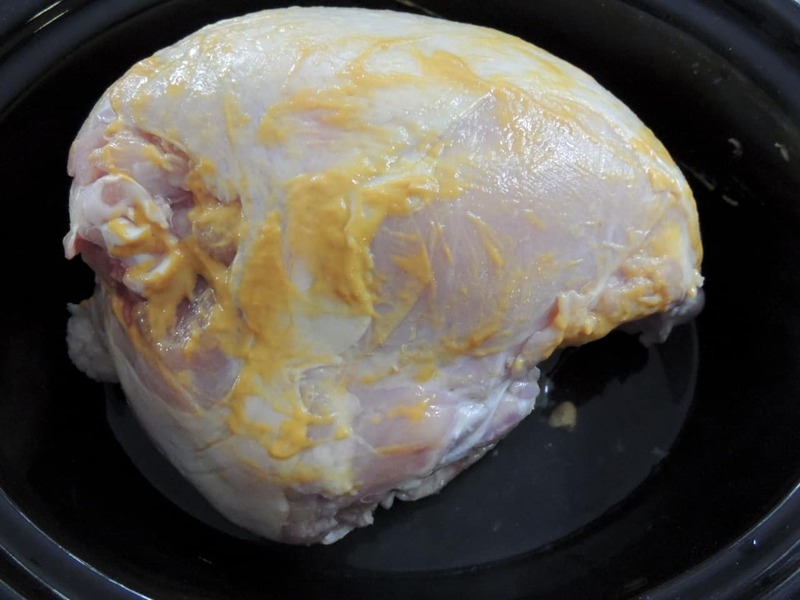 Spread top of turkey breast with honey mustard. Stir together all seasonings and sprinkle evenly over top of turkey. Cover and cook on low, 7-8 hours or high, 4 hours. 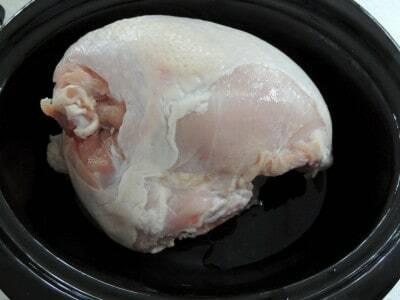 *Make sure the turkey breast you pick out fits into your slow cooker with the lid on. If you stay within the recommended size it should be fine. Butter Caramel Puff Corn – No Kernels, No Hulls! What is the difference in using Kosher salt and regular table salt. I always use table salt, Christy you say use Kosher salt. Wouldn’t have anything but Kosher salt in my house. Regular salt seems to have a bitter taste. Good salt is the key to most recipes. 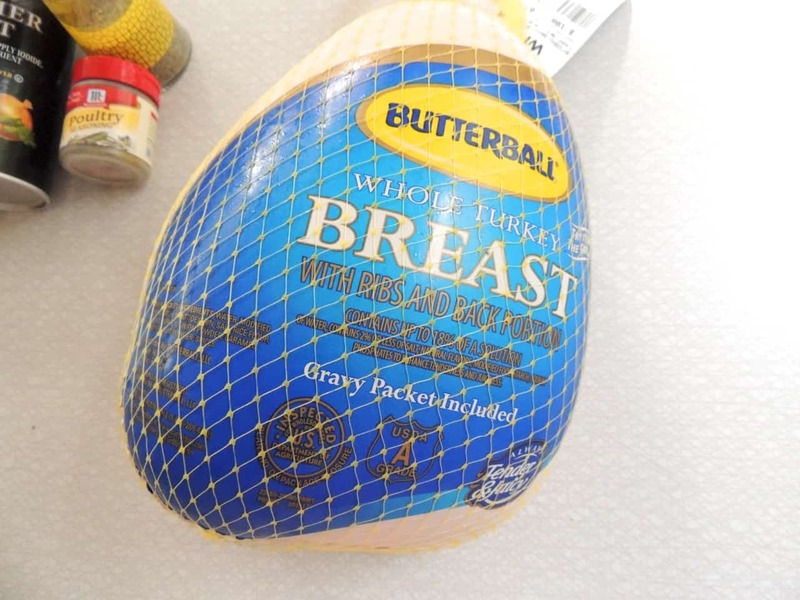 If my turkey breast fits in my 4 quart cooker can I use it? I hate to buy a new on when there is just 2 of us. Also I have read several recipes and some say put breast side down. Does it matter? Thanks! With this one it doesn’t matter (breast side down or up) and if it fits that is just fine. Hope you enjoy it! I love that you always say that it doesn’t have be done THIS particular way, but to your tastes. People have to understand that cooking, while and art and a science, is not written in stone. Try stuff you like, make it yours! AMEN!! I’m so glad you “get” that, too!! I’m so happy I found your website! I love how you make everything so easy & affordable, especially for those of us who never learned to cook growing up. I’m not a big honey mustard fan, is there a good substitute for that? I definitely don’t want to cut back on flavor! Sorry, didn’t read all the way to the bottom! Once again, love your recepies! You make my life so much easier. My family is not much for the dark meat and once I found out you can do a turkey breast this way I will never cook it any other way. Never had a dry turkey since. Isn’t it great? I make it all year round and we just love it. You may have just solved my dilemma for Thanksgiving dinner! For various reasons, I’m not up to a huge turkey ordeal and no one likes dark meat anyway. 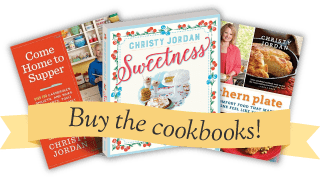 Two crockpots and two turkey breasts may be the answer I was looking for! Thank you! 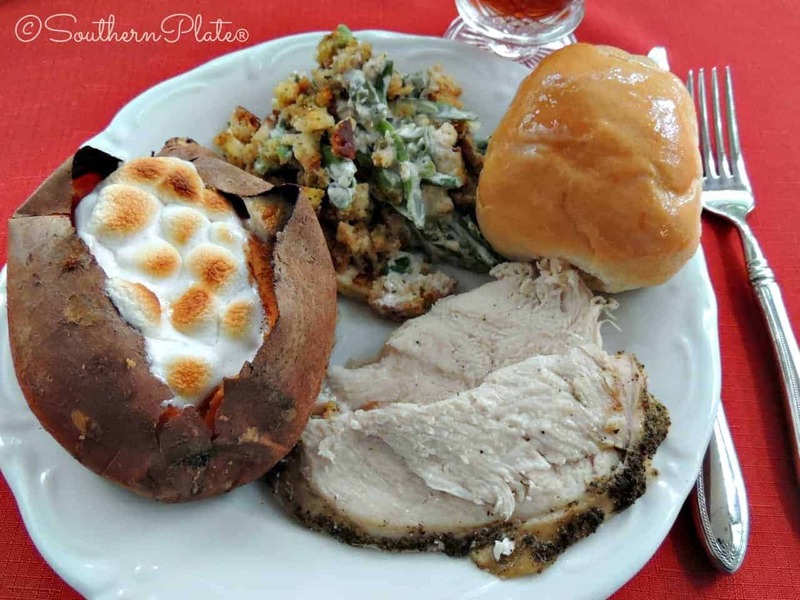 I have also used a Nesco Roaster for doing Turkey Breasts and it works great! I’m going to try this recipe with the Nesco this year. Would you be able to put stuffing at the bottom of the turkey breast and cook everything at the same time in one crock pot? Just wanted to tell you I received your/my wonderful cookbook and to thank you, not only for the great recipes, but for the loving stories and example you set for us all. Whew, that was a long sentence. Thank you Christy! This looks yummy. How ’bout that sweet potato? Is it just baked and mini marsh mellows added? 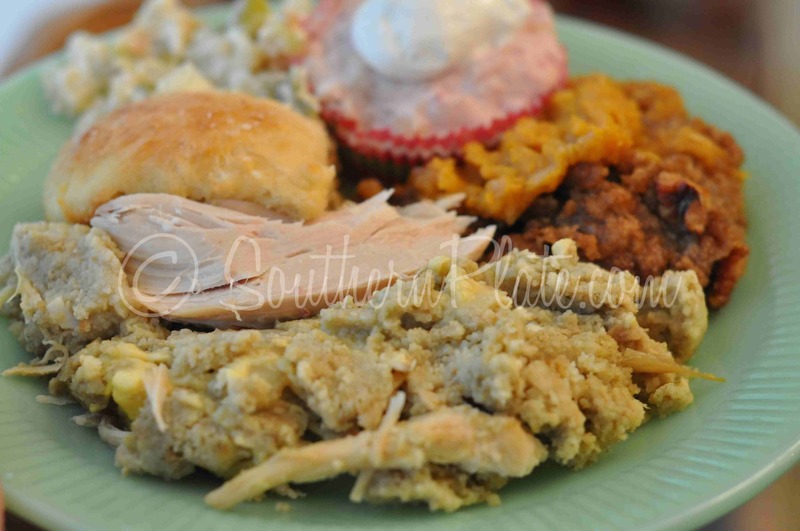 Thank for all your Southern recipes, I use them all the time and my family loves everything. Your book finally came today! I have been like a cat on a hot tin roof waiting for that book to get here, but it was worth every bit of the wait. I already have a list of things to try. Very nice job, Congratulations Christy! On another note, I made your Angel Chicken for my daughter’s little best friend, Joy, who was recently diagnosed with Stage 4 Hodgkin’s Lymphoma. She loved it! So did my hubby, for that matter. Thank you for such a good recipe. Wish you were coming to southern New Jersey for a book signing…… If by some chance you decide to have a book signing in Orlando or maybe…Oahu ( please, please, please) let me know, I’d be happy to happy to arrange a trip just so I could stand in line for your autograph.and offer my support for your latest endeavor. Hee hee! I like to “nest ” the breast in a layer of onions, celery, fresh sage and rosemary (from the pot of it on the deck), generously smear butter/evoo on it with garlic salt & pepper, lay abig twig of rosemary on top, douse all with teriyaki sauce, and let ‘er rip 3-4 hours on high. I won’t eat anything dry, so this is a good way to do turkey. Happy Thanksgiving to you, yours, ours and everybody! Great idea. And thank you for helping us figure out a way to keep everyone happy at Thanksgiving without running from house to house! I do have a suggestion for you to try. I always used to use bullion cubes too – until I got tired of unwrapping the little boogers and started using the powdery broth base – like Orrington Farms, although there are other brands. Around here we call it “the secret ingredient” because I can add it to so many things easily. It comes in chicken, turkey and beef. I just take a spoon and eyeball it (or use a measuring spoon if its really that important) to add to soups, green beans, vegetables and anything else that needs a broth or just a flavor lift. Very very handy and flavorful. No more big boxes of expensive broth or little wrappers for me! There is a great product called Better Than Bullion too, in a little jar. It is not overly salty like some, it’s kind of pasty with real ingredients. It is my secret ingredient too. Publix has it in numerous flavors, turkey at holidays, beef, chicken, veg, ham, even organic kind. Costs near $5 but is worth every penny for the taste, and like Pam says, for the convenience of not having those boxes of broth to deal with. Christy, love your meal plan here. Num num. Pam, I love Orrington Farms since it doesn’t have MSG like some and it is shelf stable. It is my secret ingredient as well and has been for a long time. Makes some great homemade RiceARoni with rice and that little package of mini pasta like you find on the Mexican aisle. Oh yum!!! I need to get a larger slow cooker now!!! Oh course, that will be a good idea since your new cookbook arrived (all 10 of them, can you guess what I’m giving for Christmas???) and I’ve been reading through it – rationing it out as a reward for doing a “chore”!! Lovely “carrot” – thank you for putting so much of yourself in there! Printed out a copy of this recipe. It sounds like the perfect solution since Thanksgiving dinner these days is attended only by my parents and my husband and me. As Susan said, Better than Bouillon is great! You can also find big jars at Costco. Thanks for all the great recipes! Happy Halloween! There is another reason that the crockpot manufacturers do not want us adding frozen items to the crockpot: Sometimes the ceramic/stoneware insert breaks from the temperature differential! My mother has broken two crocks this way in the past 30 years or so! Three cheers for your Mama for not being “difficult” about the holidays! Life is too short for making family miserable when you cant have the dinner on THE day. Life today can be very complicated trying to mesh all kinds of conditions, and to me, the best thing is to be flexible and thankful for time together. And thanks for the turkey crock recipe…that will come in handy for just us on the bigT/day, ’cause our kids are working then, and we’ll have a big one on the Saturday after. Can’t wait for the sweet potato how-to; looks great! Your Momma is so smart (but of course, you already knew that). It’s the time you spend together not the day on the calendar that’s important! Christy I have a family of 5 girls 2 boys. After they married and started having their own families we always had Thanksgiving on the week-end after Thanksgiving, then celebrated Christmas on the Saturday before the 25th. It worked just great for us. Think your Mom and I are doing it right. No use in being difficult. Just received an autographed copy of your latest cookbook. Am reading it through and enjoying it more than some novels I have read. Keep up the good work. Have u tried cooking the turkey breast upside down? Makes the meat really moist! Sounds yummy, I’m thinking I’ll probably try this with a hen, but honestly I can’t get my grandchildren to budge on that deep fried turkey!! They LOVE the crispy skin from the fryer, but will only eat the white meat… I usually just do the turkey breast anyway… I’ll give my hen a shot with the slow cooker, thanks Christy, you’re a jewel!! I hope you enjoy it Kaye!! Could you use butter instead of honey mustard? Day 3 I am very thankful for having Christy share her wonderful family recipes with us!!!! You could but I suggest you replace it with something that is sticky, like the maple syrup I suggested in the post. I will use this recipe this Thanksgiving. We never have a huge meal here for this time of year, so this recipe is perfect. I would have never thought of using honey mustard but will certainly experiment with it. I have your previous book and will be buying the new one soon. 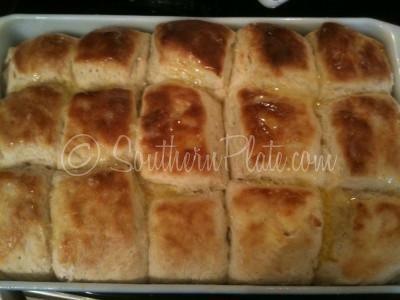 I’m from the South too so your recipes bring back many memories. Christy, this is my first time to comment & I just want to say that I love all your recipes but most of all I love the closeness of your family, especially with your Mother. Your relationship with her reminds me so much of mine with my Mom who passed away very suddenly 5 years ago. I miss her every day and just lost my Dad this past August so the holidays will be hard for our family this year. Sorry for the rambling! I wanted to say that I have been cooking frozen turkey breasts in the crock pot for about nine years & have never had a problem so far. The only thing that I do different is that I wrap my turkey in aluminum foil after I have heavily buttered and salted & peppered it. Nothing else, no liquid of any kind. 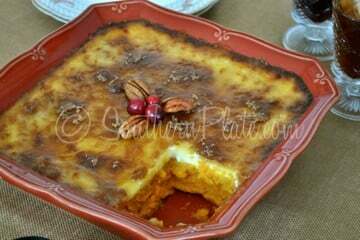 I cook it on low all night & it is moist & delicious everytime. Just thought I would share this & wish you and your family a very Happy Thanksgiving! Made this today and it was excellent. So simple and so delicious. Moist and tender. 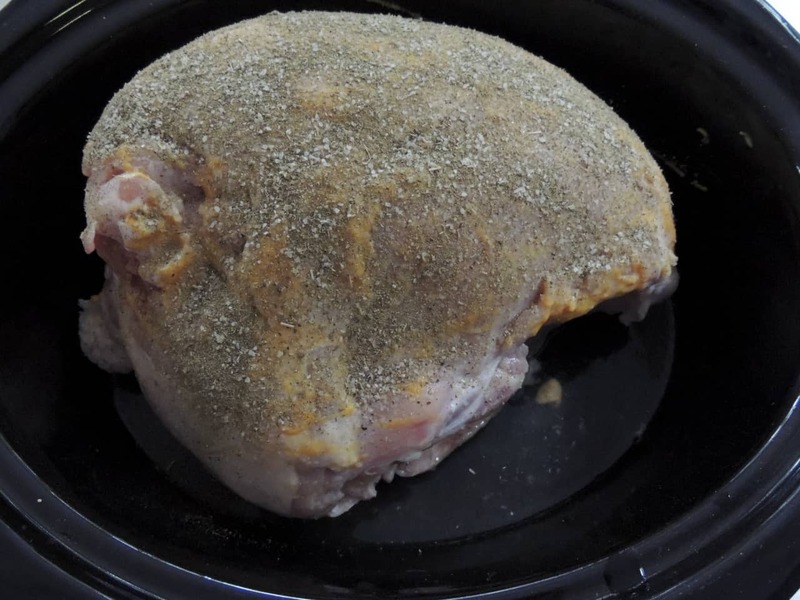 If you’re cooking for a few people or just don’t like the dark meat, this is the way to go. And using a crock pot liner makes clean up super quick. Sorry I won’t be able to make it to the book signing in the Nashville area this week. I wanted to sing the praises of this turkey recipe in person 🙂 I’ll be serving this to my mama on Thanksgiving day and I know she’s going to love it! I am so glad you liked it Ruthie!! I sure will miss seeing you in Nashville, maybe the next one! I hope so, too!! I so enjoyed meeting you and Mama and hearing you speak at the book fair here a few years ago. Have fun! Is that green bean casserole as one of the sides? I don’t use bullion cubes as much as I once did.. so much sodium. I love to cook chicken in the crockpot.. bone in chicken.. and shred it to use in casseroles, salad , soup etc. I really season up the pot when I do that with celery, onions and herbs. I save that broth… strain it.. freeze in ice cube trays.. pop into ziplocks.. and then use that for cooking. Very economincal (If you cook chicken) … a bit healthier (at least my mind thinks it is!) and sooo good! This broth makes the best chicken and dumplings ever! if, you don’t have kosher salt. Can you use sea salt or regular salt?